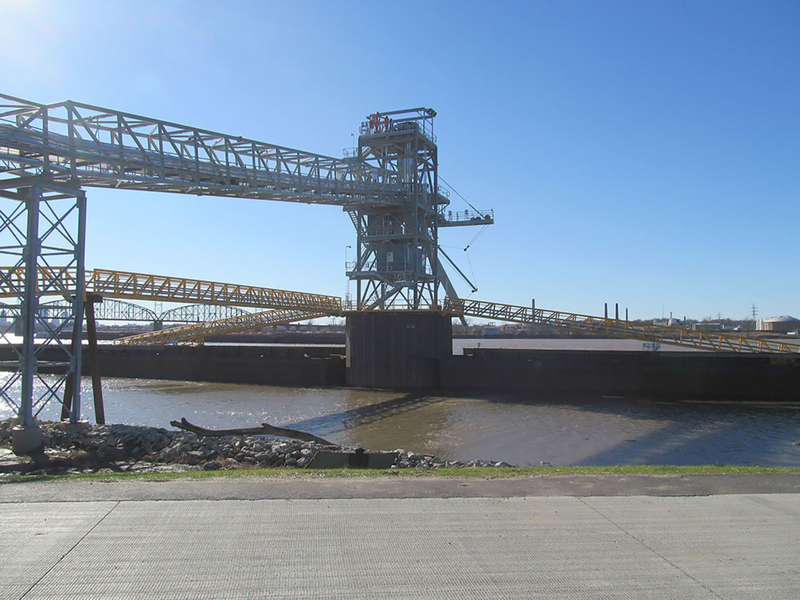 Madison Harbor Conveyor Project - Korte & Luitjohan Contractors, Inc.
Korte & Luitjohan, Contractors, Inc. was retained by America’s Central Port as the Design-Build contractor for the construction of the Madison Harbor Conveyor. 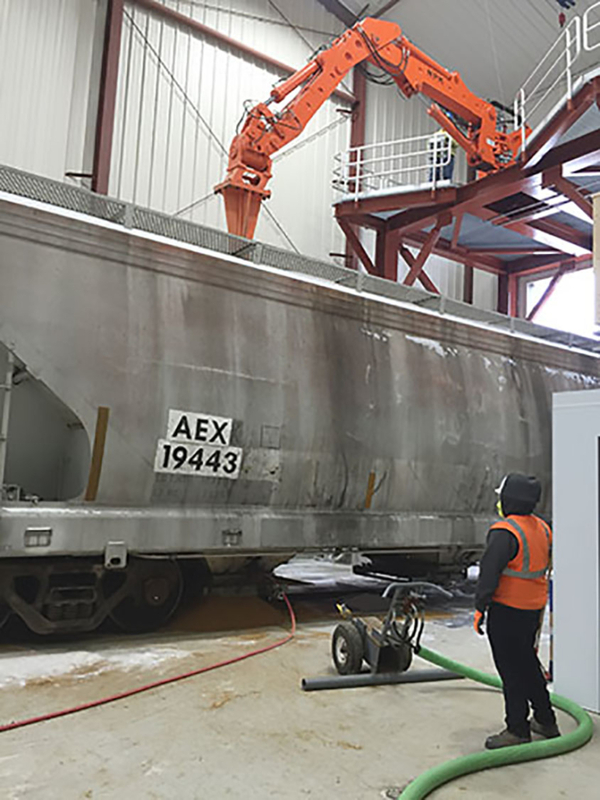 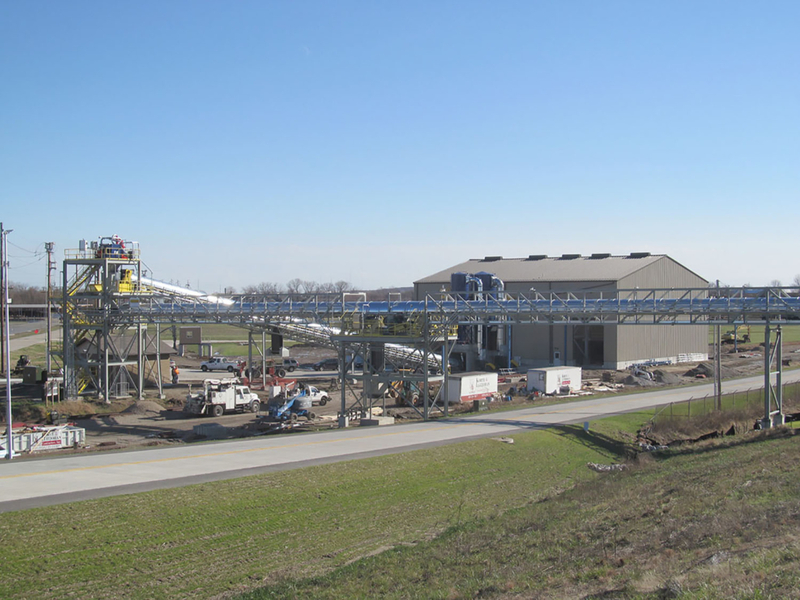 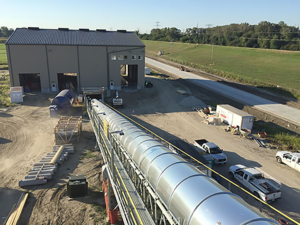 The project features a 100 ft x 115 ft x 40 ft tall pre-engineered metal building which encloses a single rail car unloading conveyor pit, two truck unloading pits, and associated conveyors. 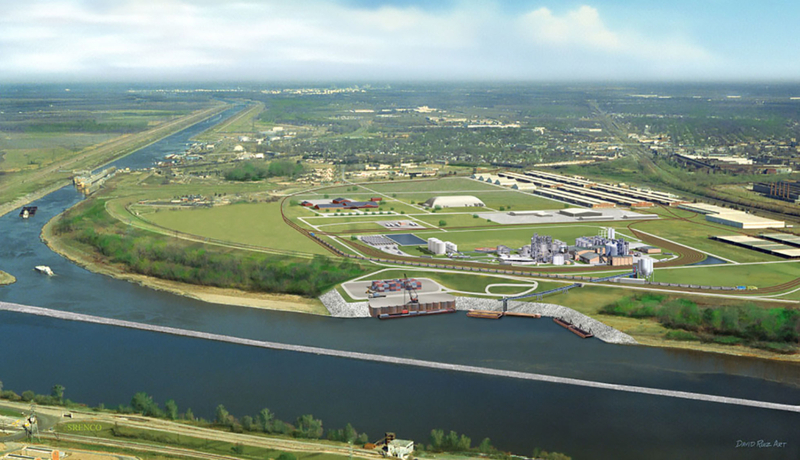 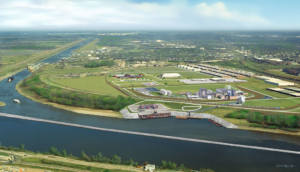 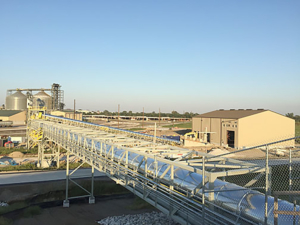 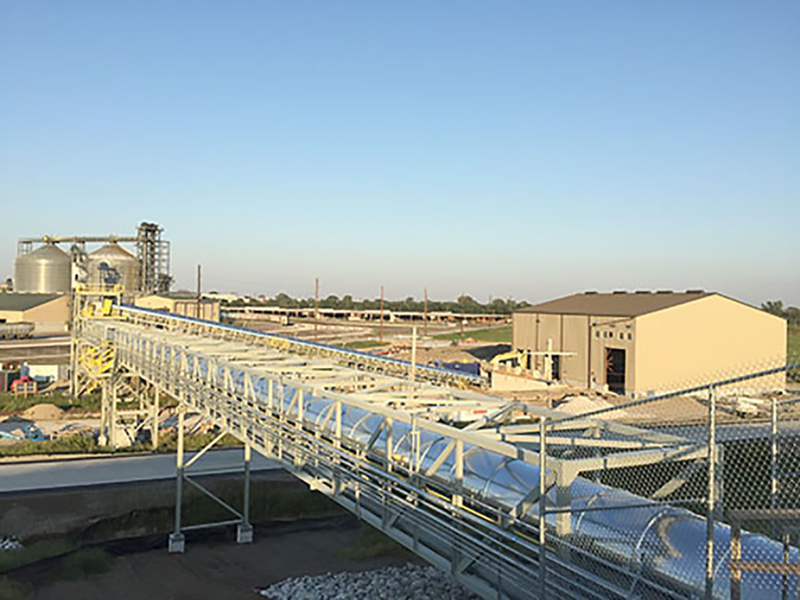 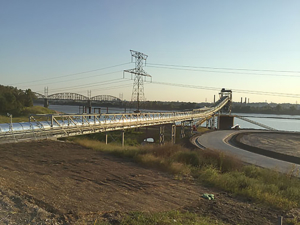 Grain products such as corn, soybeans, and Dried Distiller Grains (DDGs – a bi-product of ethanol production) will be transported from the dry side of the levee to the unloading tower located on the Mississippi river on over 1,000 LF of conveyors. 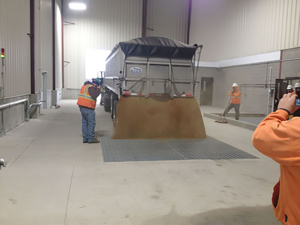 The unloading capacities are 50,000 Bushel per Hour for the rail conveyor and 30,000 Bushel per Hour for the truck unloading drag. 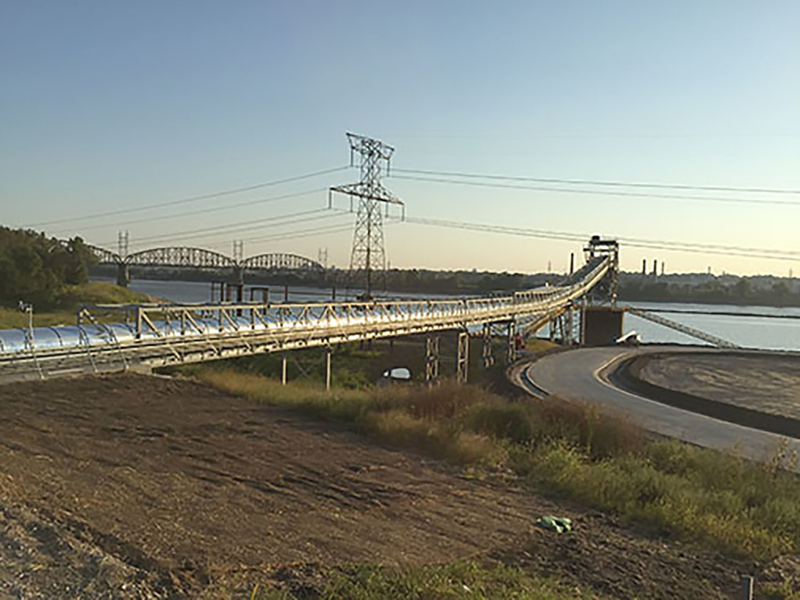 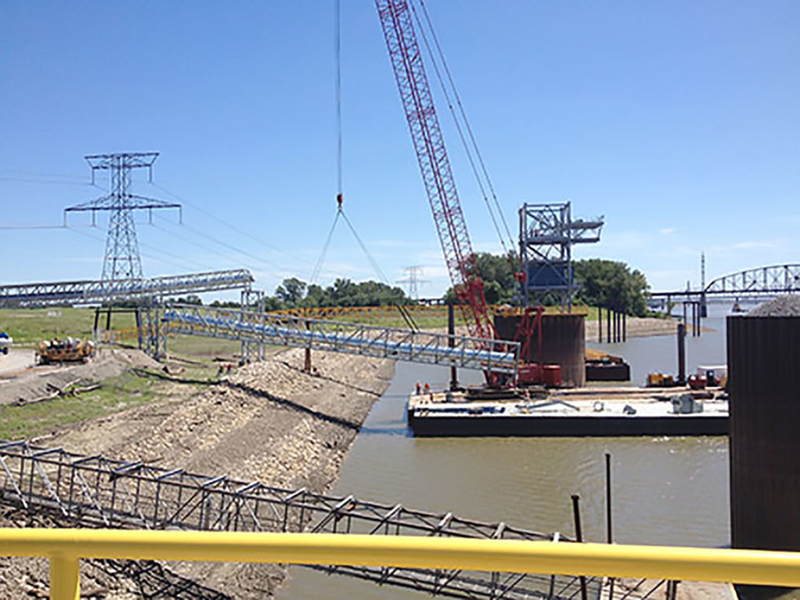 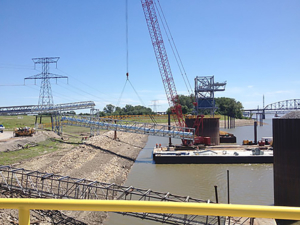 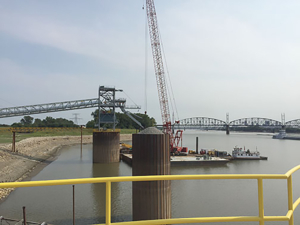 Materials are transported from a 22 ft deep conveyor pit, over the railroad track and levee, under a high voltage power line, then up to the 60 ft. tall unloading tower on the river. 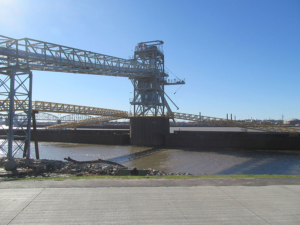 America’s Central Port District won an Arcus Award in 2016 for this innovative project! ENGINEER: Thouvenot Wade & Moerchen, Inc.